As a whaanau we made a choice to return to the Rohe Potai Oo Tuuhoe to grow our tamariki (children) in the ways of our tipuna (ancestors), on land stolen from us at the point of a gun. As a result we live on a mountain, off the grid, home educating our tamariki (children), rewilding ourselves and regenerating the whenua (land) by planting an abundance of tree’s, growing our own food with permaculture practices and becoming the voice of the whenua. We instill in our tamariki the ways of ngaa Atua as we know that to have even a small understanding of all seventy Atua is to be truely wealthy with knowledge. All three of our tamariki were birthed in the ways of the haputanga (ancient maori birthing rites), as taught to us by the tohunga Hoohepa Delamere. The Whenua that we have re-claimed is now known by us as “Te Ika Aa Tuu”, this is an old name for Pounamu. It is the Pounamu that guides and supports our whaanau (family) in Te Ao Hurihuri ( the ever changing world). Te Kaha – In 1991 the world as I knew it came to an end. That was the year that drugs and alcohol left my life and the Pounamu reclaimed it! I am guided and instructed by the Pounamu daily. To say I am self taught is not correct. I know that I was born with knowledge of the Pounamu imprinted in my genetic structure, sometimes known as genetic memory, our people know it as whakapapa, therefore it would only be my ego talking if i were to claim that I was self taught. When I first started shaping Pounamu I reproduced all the old designs, even with the most modern tools they were incredibly difficult to reproduce, in this way my tipuna (ancestors) instructed/reawakened me in the way of taarai pounamu (pounamu carving). Pounamu has a mauri (life force) and we have the same origins. The way I practice taarai pounamu is according to the tikanga of my people. Some aspects of this are to whakawatea ngaa taonga (energetically clearing the pounamu), no eating or drinking within the work-space, to name a few. 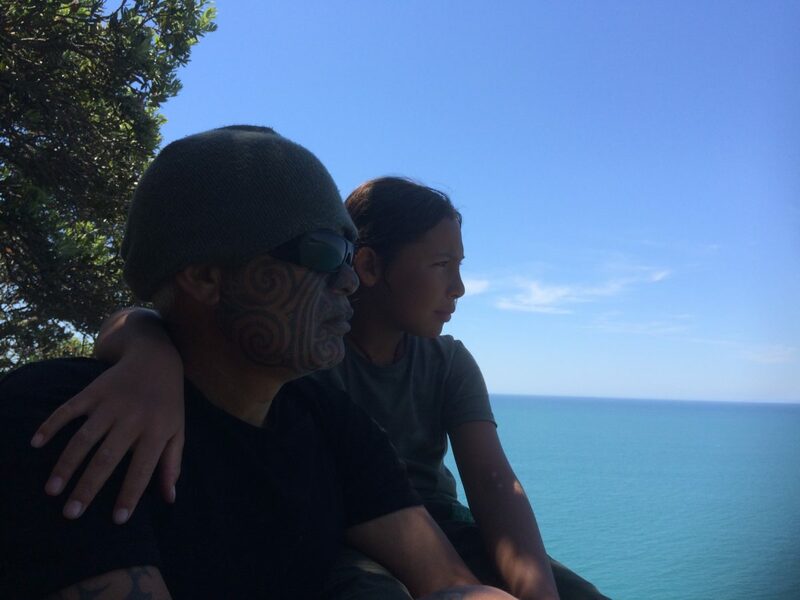 Te Kaha travels extensively, worldwide, in order to create an awareness of Pounamu, facilitating workshops and in doing so promotes the culture of Aotearoa. Pounamu permeates every aspect of the Maori culture. Te Kaha also creates traditional taonga his work is in many art collections worldwide.